Melissa's here this week to inspire you to dress up your envelopes so that they can be just as pretty as the cards inside. She's got some helpful tips and a gorgeous project to share. Click "play" to learn more. –Create a project utilizing your take on the challenge. 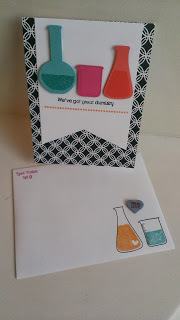 Your project must use at least one Papertrey product and a card and matching envelope set. –-Add your project to our inLinkz List below. –You will have until 7am, Tuesday, July 16th, to add your link to the list to be eligible to win. And you can enter as many times as you like. –One randomly selected winner will be chosen from ALL the entries on Tuesday, July 16th, after 7am. The winner will be posted here on this blog post, on Twitter and Facebook. The randomly selected winner will get a $25 PTI gift certificate to spend however they like! Congratulations to Sheri Watts for being randomly selected as this weeks winner! Please email Customer Service and provide the email address you would like your $25 gift certificate sent to! And a big thank you to everyone else who participated in this challenge. There were so many amazing entries! Enjoy the rest of your week! So pretty, Melissa! Thanks for sharing the process – so inspiring. I’ve never thought about decorating envelopes. Now I’ll have to try it! 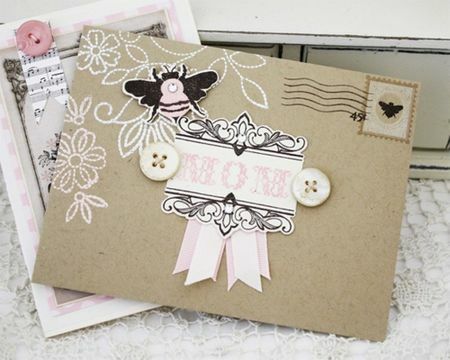 Decorating the envelope adds so much to the beauty if the card! So gorgeous and a great idea too..LOVE it! 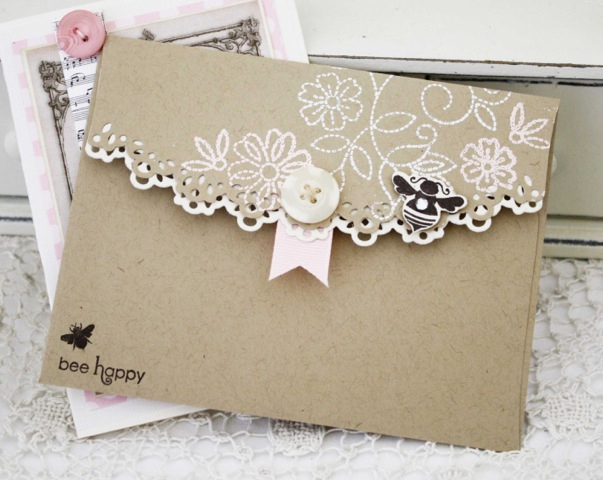 What a gorgeous envelope! Thanks for the tutorial! Love matching envelopes. This one would be beautiful even without the card. Love your video! Great ideas for a special person. You give us inspiration each time-thanks so much. I LOVE THAT ENVELOPE!!!! SO CUTE! So sweet! Great tutorial. Thank you for sharing your talent! What a GORGEOUS envelope!!! And thanks for all of the tips you shared in your video!! I definitely want to give this a try!!! I love this kind of project and I did it. Thank you for sharing. Melissa, your envelope is so, so pretty! Love everything about it…color, stamp choice, kraft envelope. The tutorial was great..very clear and easy to follow. Thanks so much for sharing your expertise. Congrats to the winner What awonderful piece.